We recently partnered with Lipbar Custom Cosmetics to do a line of luxurious Nuorikko lipgloss & lipstick colors. This collab collection is completely exclusive to Nuorikko, and trust me, you need to try them out! Keep reading for all the details on Lipbar, the collab, and the process of creating custom lipcolors. Being a designer, of course I love to create, and working with color has always been something that is just pure fun. That being said, I have no idea why its taken almost 15 years in this industry to work with a color designer from another field. This girl might just be hooked on beauty. 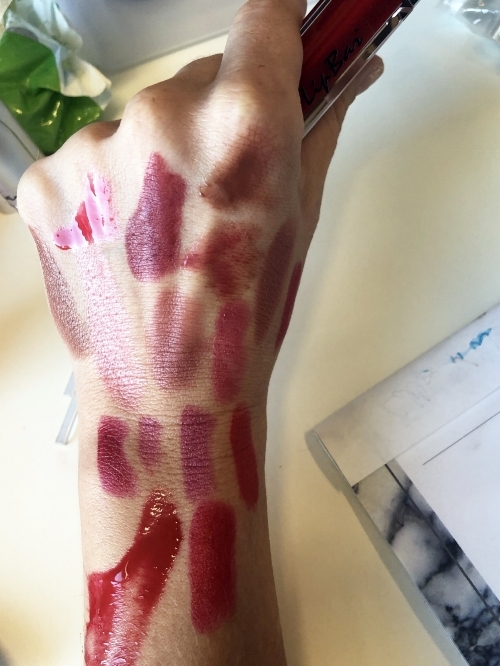 We spent a very pleasurable Sunday afternoon with Debbie Hartung, Founder of Lipbar to develop the colors exclusive to the Nuorikko collection. While we were playing with color, we Interviewed Debbie about her brand, her process, and what it means to her to collaborate. Lipbar: For 35+ years I worked for Corporate Cosmetics. I watched, listened and learned. I heard women complain, wish for and ask why. As I listened to my clients and learned what was missing, I began to develop and launch a few products at a time. I knew as I experimented that I wanted to keep my products as “clean” as possible, so I started importing ingredients from all over the world. I Fair Trade as many ingredients as possible. In May of 2014 I launched the brand with two lip and skin treatment products, a few lipsticks and lipgloss. I only develop a product if it’s different or better than what’s already in the market. I don’t need a line full of eyeshadow, blush, and mascara, as they are a dime a dozen. N : How did you start making your products? Lipbar: I had the opportunity to work exclusively with a medical grade collagen molecule that has very unique effects on the skin. I spent a year working with this product, doing my research and started the development phase. A lot of trial and error occurred. I started in my kitchen with a double-boiler, gloves, glasses and a hair net. N : What is unique about your products, other than the ingredients? Lipbar: 95% of our products are made in small batches in a lab in Aurora, Colorado, meaning we can offer ready-to-wear as well as custom colors. I re-create clients’ favorite discontinued lip colors, and create anything they can imagine. In addition to making products designed for your real life, I try to teach tips and tricks, and develop products that won’t make you late for work. N : Tell us a little bit about your design process. Lipbar: Our design process starts on a slab with drops and pours of various pigment, toners, frosts, foils, flavors and essence. Usually I’m inspired by nature, in my sleep, current fashion trends and Pantone. N : Why were you interested in doing this collaboration? Lipbar: This is the first time I’ve worked with another designer. Because of your eye for color and ability to communicate your vision, between the two of us we were able to create the world’s most perfect red liptar & lipstick that I had been unable to achieve on my own. Working with regular clients is different because they can see it and describe it but have no idea how to get there. The Nuorikko collection is a labor of love between two designers from different worlds of design. A collaboration of two women who both have an eye for color, texture and finish. It took two minds and hands on trial and error to create a vision. There are currently 4 colors in the Nuorikko collection, and I look forward to creating more color with Kaitlyn. The possibilities are endless. Lipbar is not exactly new to the custom lipcolor game, so we started with some colors from the existing line to see what might be close to where we wanted the Nuorikko collection to be. This gave us a starting point with the color formulas. 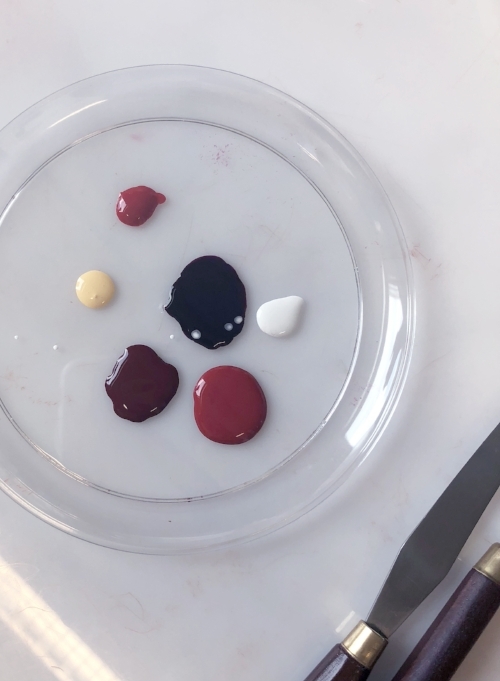 Once we had decided what our starting point was, and how we wanted to change the color palette for our collection, we did the beauty version of a dye test using a palette & mixing tools. Which is totally fascinating to watch!! Using a special lipstick mold the finished colors were mixed with the lipstick base made from the finest natural ingredients and infused with collagen to promote healthy skin and lips. Then poured, let set for only 5 minutes, and packaged. 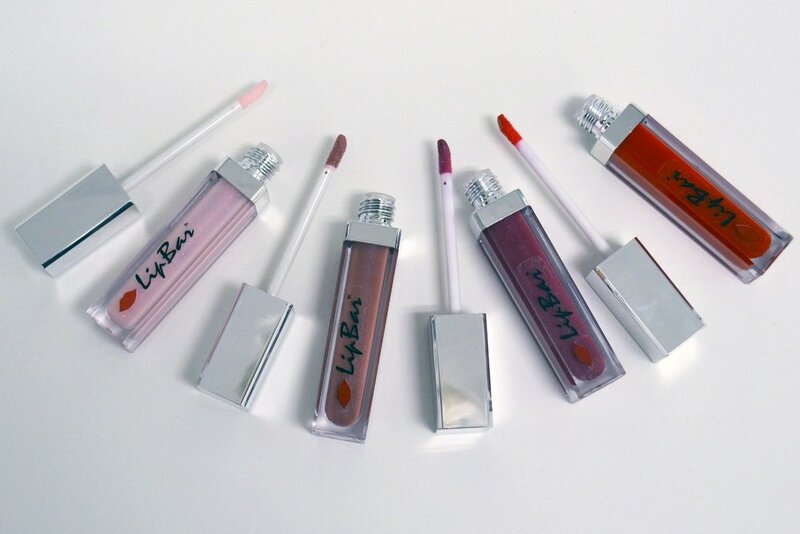 The process is similar with the Lip Tars, an exclusive, high-shine version of Lipbar’s gloss. No mold necessary though, just add pigment, mix, & pour.